Add Your Content To The End Of Every Blog Post On Complete Autopilot! Set And Forget Technology! 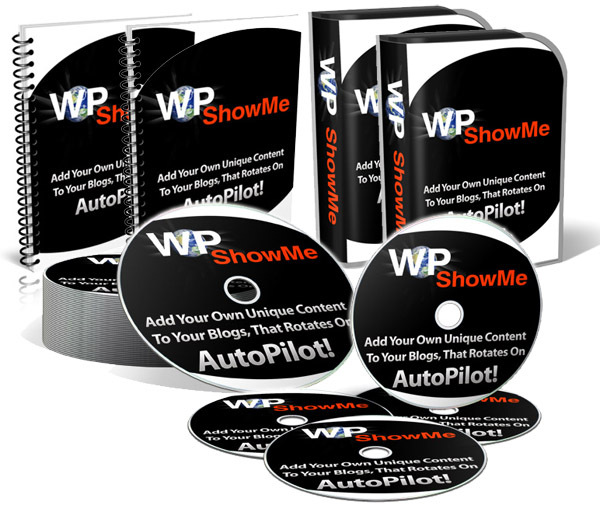 "WP ShowMe Is For ANY Blog, Regardless Of Your Niche! WP ShowMe is a simple Wordpress plugin that allows you to add your own unique content to the end of every blog post! 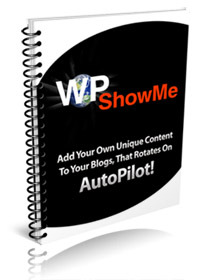 There is no limit to what you can do with WP ShowMe! Your content is displayed in a borderless iframe on a white background. The content is dynamically driven, and randomly chosen. 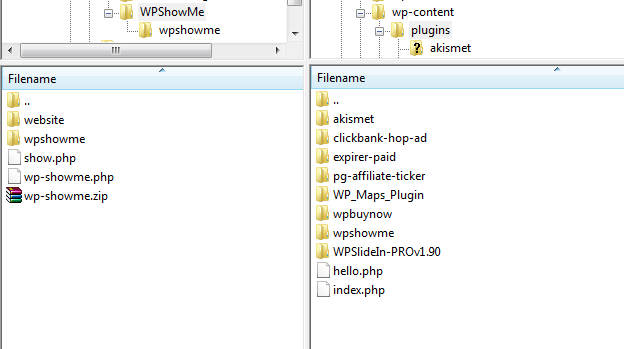 SIDE NOTE: If you own other plugins that add content to the footer of your blog posts such as WPFooter - don't worry! You can specify which order to display your footer plugin content - you have full control. Easy Two-Minute Install And Setup! And Working For You Within FIVE Minutes! Want For One SUPER LOW - One Time Fee! Personal Use Copy - Just $17.00! You Can Edit This Product And Make It Your Own! Sell From Your Own Domain And Keep 100% Of The Profits! INCLUDES PSD GRAPHIC SOURCE FILES AND FULL WORDPRESS PLUGIN PHP SOURCECODE SO YOU CAN CHANGE ANYTHING YOU WANT! Important Private Label Rights Terms: You CAN edit this product any way you wish. 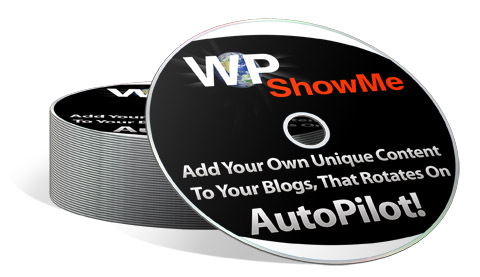 You can SELL this product - add to any PAID site, membership, auction, product bundle, etc... You can NOT give WP ShowMe away for free. It MUST be sold. You CAN sell Private Label Rights To your end users! These Prices Are A STEAL! Especially Since the GRAPHICS alone for this site cost over $150! 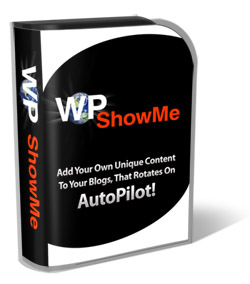 The Built In "Powered By WPShowMe" link found at the bottom of every post will earn you INSTANT commissions when your site visitors click on it and purchase the WPShowMe plugin for their own blog. Takes 10 seconds to edit! Affiliates: Earn Commissions For Your Referrals!